The new Buick Encore has found its way to North Palm Beach. Before you visit our dealership and view all the cars for sale, read this overview of what you can expect to see from the 2019 Encore. This luxury SUV may be small, but it’s sure to fit in just right with drivers all around Lake Park, FL and beyond. Powered by a 1.4L turbo engine, the Encore delivers impressive fuel efficiency, an EPA-estimated 27 mpg in the city and 33 on the highway. On some trims, the engine comes with Push Button Start technology for the same great performance, but with a little more convenience. This SUV is designed to seat five passengers with a total cargo capacity of 48.4 cu. ft. The exterior is available in eight different colors. We have the standard white, black, and silver options, but some notable shades include Deep Azure, Winterberry Red, and Coppertino Metallic. As a premium SUV, there’s a lot to look forward to on the Encore. The base model comes standard with a beautifully-sculpted profile, complete with LED-accented taillamps and stainless steel exhaust tips. It comes with 10 standard airbags to promote all-around safety, and it has OnStar® and Buick Connected Services for greater peace of mind. Active Noise Cancellation ensures a quiet, peaceful cabin on every journey. Other standard features include an 8” touchscreen with a Rear Vision Camera to make backing up a breeze. Bluetooth® allows you to take calls hands-free and stream playlists off your smartphone. In addition, the Encore is available with a number of enhanced safety features, including Side Blind Zone Alert, Lane Departure Warning, Rear Cross Traffic Alert, and Forward Collision Alert. So, when you’re driving, you can feel confident knowing the Encore is looking out for you. Ready to Meet the 2019 Buick Encore? 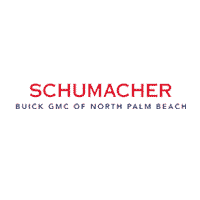 If you’re interested in learning more about the 2019 Buick Encore, come to the Schumacher Buick and GMC dealership in North Palm Beach, FL. We have a large inventory just waiting to be explored. Contact us at 561-282-1957 for more information.